Fresh off the tail of National Candy Month, we have another major candy holiday – National Milk Chocolate Day! That’s right, July 28th marks the nation’s official celebration of this creamy treat. 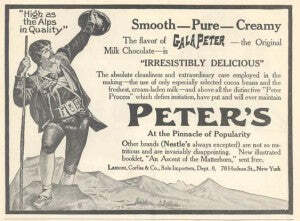 The perfect blend of soft, tender chocolate, the milky variety originated from a man named Daniel Peter in Switzerland. He worked primarily in a candle factory in the mid 1800s, when candles were the primary source of light in the world. His factory had such high demand that he relocated from his small town of Moudon to the industrious Vevey, into a space that neighbored the budding Mr. Henry Nestle. Peter and Nestle grew a fast friendship, and as oil began replacing candles as a light source, Peter became increasingly interested in delving into the chocolate business. However, he understood that he needed something distinct in his chocolate to set him apart from the rest. At the time, his neighbor Nestle was creating baby food, specifically a product he called “milky flour”. This development inspired Daniel Peter to think about adding milk to chocolate! 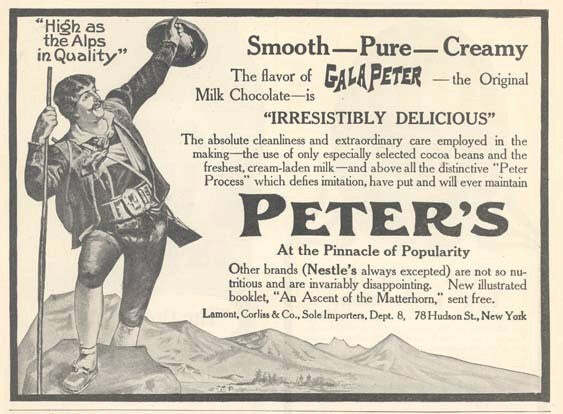 Peter worked hard to find a milky mixture that would produce the perfect tender milk chocolate square, and in 1875 he created the “Gala Peter” – the first milk chocolate! This product was a hit, and grew exponentially within the first few year it was introduced. One small down was consuming hundreds of pounds of his chocolate per year! This lead Peter to expand his business globally, and after a few years he merged with his friend Nestle to create one large company to supply the world with their demands of chocolate. Though many tried to copy Daniel Peter’s recipe, none could replicate his perfect Gala Peter milk chocolate. It’s amazing that at one time, there was no milk chocolate in the world at all! Thanks goes out to Daniel Peter this holiday for invented one of the nation’s most beloved candies. Don’t forget to stock up on our milk chocolate in time for Milk Chocolate Day! 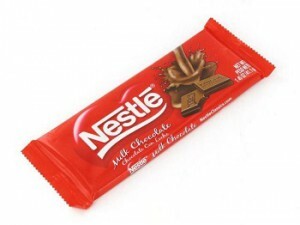 Enjoy the closest thing to the Gala Peter, a Nestle Milk Chocolate Bar!